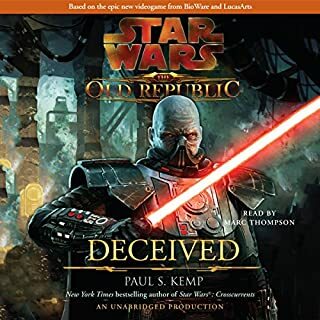 The embattled Republic reels from the attacks of Grand Admiral Thrawn, who has marshaled the remnants of the Imperial forces and driven the Rebels back with an abominable technology recovered from the Emperor's secret fortress: clone soldiers. 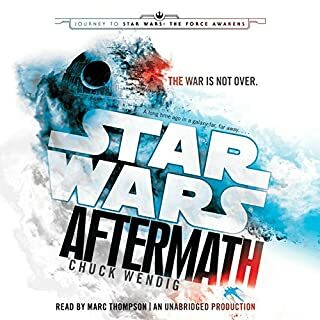 As Thrawn mounts his final siege, Han and Chewbacca struggle to form a coalition of smugglers for a last-ditch attack against the empire, while Leia holds the Alliance together and prepares for the birth of her Jedi twins. The narrator is phenomenal, but the story is... too much, too busy... I enjoyed overall, but was not blown away. A necessary change from the disney star wars disaster. beautiful writing, engaging, and memorable! 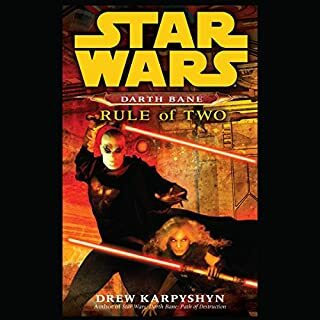 recommend to new and old star wars fans. 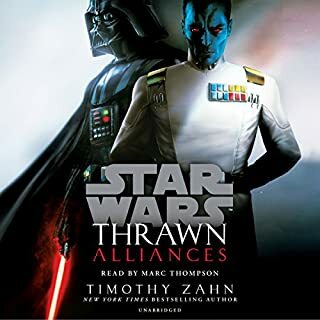 So Timothy Zhan gives a great story, but Mark as Thrawn is perfection, this book is amazing and the trilogy was a blast. You will kill Luke Skywalker! You will kill Luke Skywalker! You will kill Luke Skywalker! You will kill Luke Skywalker! Absolutely Exhilarating, Excellent Book-Loved it! 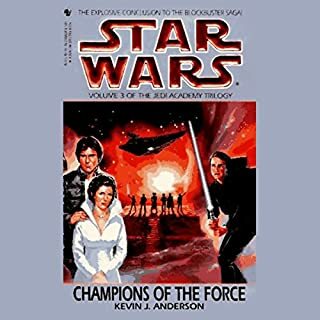 Would you consider the audio edition of Star Wars: The Thrawn Trilogy, Book 3: The Last Command to be better than the print version? 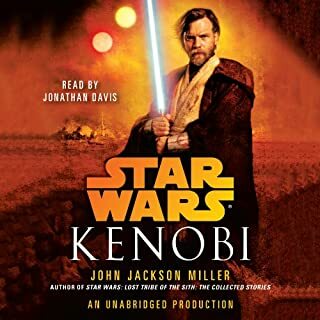 The production of this audiobook will blow your mind! It is movie quality. A perfect use of authentic Star Wars sounds, didn't over do it at all. I felt as if I were hearing the audio of a Star Wars movie. Marc Thompson is an absolute master. 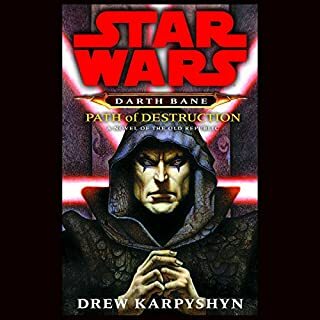 What was one of the most memorable moments of Star Wars: The Thrawn Trilogy, Book 3: The Last Command? The last few chapters are jam-packed with action, and lead up to a great ending. Every character that Marc performed was very unique and very distinct. I love the accents and voices that he made for these characters. But his Han and Lando are my favorites. Get ready for one hell of a ride baby! 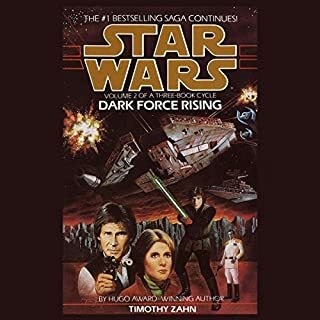 Timothy Zahn and Marc Thompson make magic again! UNABRIDGED! Finally hear it all. 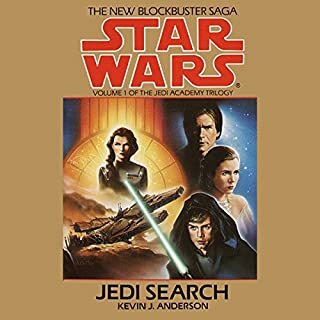 We finally get to hear the entirety of The Thrawn Trilogy. This book was well produced, Marc Thompson did a great job as normal. If you've made it this far in the Trilogy you won't be disappointed. YOU WILL KILL LUKE SKYWALKER!!! Great book series. I think Card, Jade and Thrawn are great additions to the starwars legacy. I Hope Mara and Card come back into cannon. 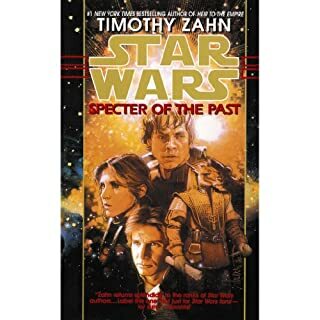 A must read for any real starwars fan and surpasses most of the now cannon books. I loved this book. It was well thought up until the randomness of the ending. 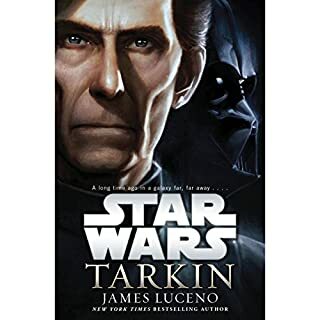 It's still a great Star Wars read. Star Wars Thrawn Trilogy is GREAT!! 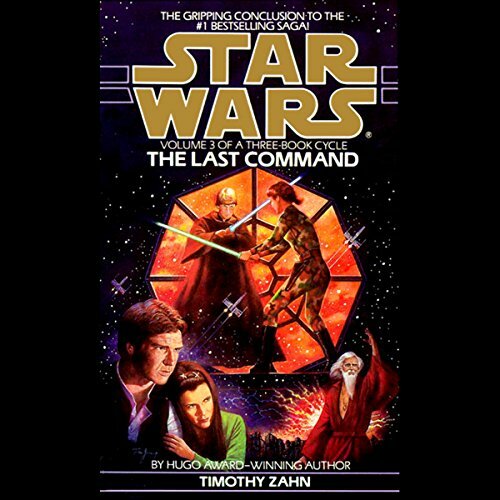 What did you love best about Star Wars: The Thrawn Trilogy, Book 3: The Last Command? All three books are a GREAT LISTEN!! I read the Thrawn trilogy a couple of times years ago (in paper edition). I remembered them as being really good books...but I forgot just how totally fantastic they are. Until now. 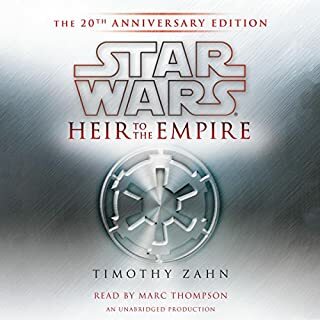 The story is great---Timothy Zahn really captured the world of Star Wars, the feel for the stories and the characters (now 5 years after the events in Return of the Jedi) as they build the New Republic and still war with the remnant of the Empire. The new characters he added fit into the Star Wars universe perfectly. Zahn's pacing, story elements and writing just make them fun books. 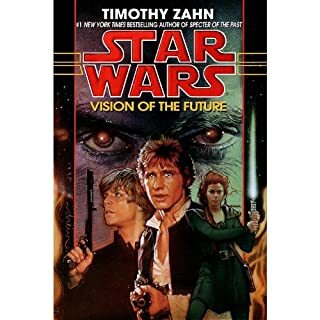 On top of that, Zahn wrote these books in the early 1990's, so they are not contaminated by the prequel or sequel films. I would give Marc Thompson's narration 6 or even 7 stars if I could. He managed to catch many of the voices so sound much like the original actors from the films. Maybe not perfectly, but quite good given that it all came from one larynx...I assume the post-production played some games to enhance that, but even so. Amazing. The post-production also added music and background sound effects to try to enhance the effect. In general, I liked that, although I think it got distracting on occasion. 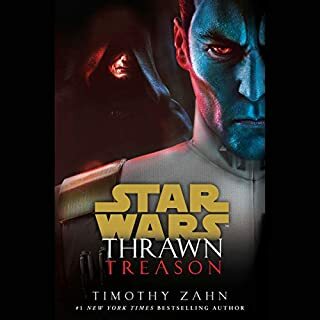 The Thrawn series is published as a trilogy, but really it is one, large 3-part novel. You will need to commit to finishing the whole thing...especially since you will have a hard time putting it down once you start. A thrilling listen from start to finish. Admiral Thron is a devious and threatening bad guy that most series can only hope to create. Full of excellent twists and turns, as well as interesting new characters. The narrator's ability to create voices make this book a colorful and engaging listen. This was a great series. It sets up a lot of interesting future events. I wish this had been the next movie instead of the force awakens. The book captured the essence of the movies but continued the development of the characters and rebel alliance to a reasonable standard. Luke is still learning what it means to be a Jedi Knight and what responsibilities that go with it, while trying to figure out where and how to begin rebuilding the Jedi. The New Republic is on shaky grounds of establishing a fair legitmate multi-species governing body strong enough to stand in the absense of the Empire and against the threat of remaining Imperial leaders with a divided forum. Mara Jade. An imposing and well trained character with great potential in the Force, Mara is battling an internal struggle to realise her past in a different light than all that she once belived. 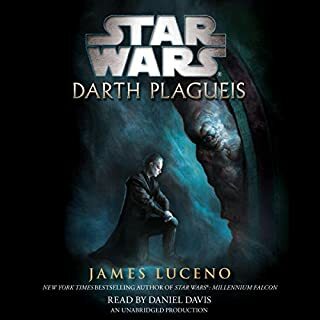 Forced into an allience with the person she most wants dead, she still finds the strength to determine her own destiny and find a new place in the galaxy. Absolutly fantastic. 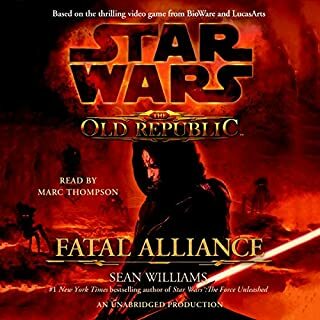 Marc Thompson reads each character different so you can follow easily and finds the perfect imflections that you can believe you're listening to Han Solo, Princess Leia, Luke Skywalker and others. The use of music and soundeffects from the movies also adds to the entertainment. Where Garm Bel Iblis points out to Leia that the leader of the New Republic is so afraid of trusting the lives of those she was appionted to govern to less compentent people, she refuses to hand over such responisbilities to anyone she doesn't have absolute faith in. The Thrawn Trilogy comes to a close in The Last Command, and I wish it didn't have to end. If you've invested your time on the first 2 audiobooks, you won't want to miss this one! 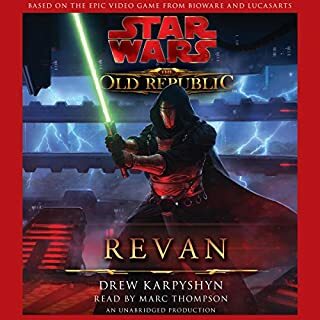 The story draws to a very satisfying conclusion, and for a Star Wars fan like myself, it's FUN! The sound effects, the sweeping Star Wars music of John Williams, and Chewbacca starring as himself! I generally don't care for music or sound effects in an audiobook, because it can be distracting. In this case, I love it! And Marc Thompson can throw a great voice on every character you put in front of him, rock solid performance! P.S. 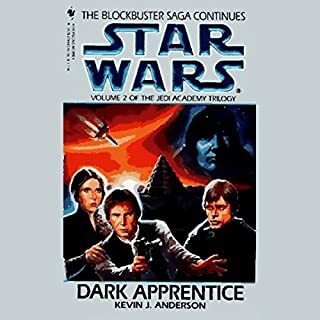 Kevin J. Anderson's Jedi Academy Trilogy, anyone? I'd drop a credit or 3! Let's hope Marc Thompson will continue with an unabridged performance of the next series.